Hi I'm Jennifer. I'm a huge fan of horses and i decided to enter this competion. So my partie was a horse layout/background, We used one of the websites on this site the snowy mountain ride annd we got a ride on the mountains. after that we went back home and my mum baked this HUGE horse cake. I had horse balloons hanging from the ceiling. We had songs from Flicka on and before all that i sent horse invitions to my friends. p.s The Lucky 7 Horse Party. Never seen a cake like that! Cool! Party sounds amazing, but that cake is unbelievable! Wow! wow, I can see you loved your horse, a good idea, I'll do something for my horses! This is really an amazing cake! It is sooo beautiful! 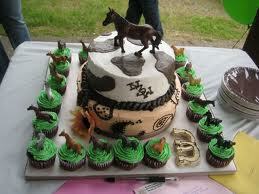 Wow that horse cake is incredible!